Fiery BBQ sauces and relishes! With the weather (kind of) warming up, one of the UK’s favourite outdoor pastimes is back for the summer season: that’s right, barbecuing. 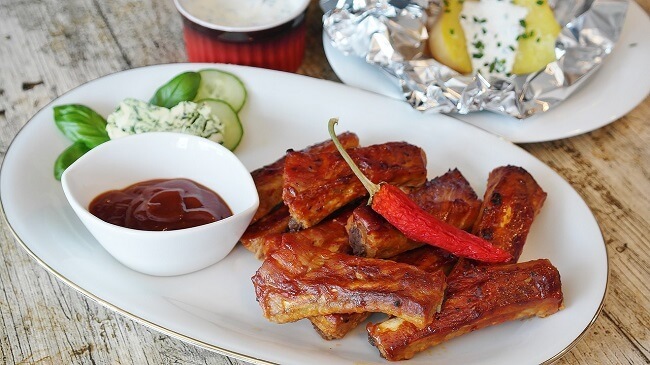 Since it’s National Barbecue week, Quattro Foods Manufacturers in Portsmouth, Hampshire are sharing our favourite BBQ sauces and marinades, which can be made by bulk for wholesalers, the NHS & education sectors and restaurant chains. Over the past few years, the nation has developed an ever-growing love for spicy sauces and relishes to splash and spread over their meals. To reflect this, we have been working with clients who are looking for unique relishes to sell. A favourite amongst our development team is chilli jam, as the sweet and spicy flavour can enhance a classic beef or chicken burger and even compliment a lunchtime sandwich. If spice is what you’re looking for, our development chefs have been heating up the kitchen by creating more exotic sauces such as Piri Piri, Mexican Hot, Enchilada and Louisiana Hot—definitely a change from the classic ketchup and brown sauce. These are just a few examples of the type of sauces we can make for your business, as these condiments are not only great to add onto a barbecued banger but they can also be used as a spicy marinade on chicken or turkey. If you have a concept for a sauce that you would like to sell in a wholesaler or to add to your food service company, we are all ears as we can help your business create a product that is ideal for your customer. If you are looking for a sauce or relish for a specific dietary requirement, such as a nut-free condiment or a product aimed for customers who are gluten intolerant, we can tailor the product to your specific guidelines. At Quattro Foods, we will make BBQ sauces and relishes that are unique for your business, so nobody else on the market has the same recipe. If you are looking for a high-quality sauce to sell or serve, get in touch with a member of our Quattro Foods Manufacturers in Portsmouth by ringing +44 (0)23 9262 0020 or send us a message through our website.